In case you didn’t have a chance, during our very wonderful holiday, to check out the Mens Global Themes on the site here is a breakdown of the trends we called out for SPRING 2013. Probably my favorite theme for men in 2013, this trend focuses on the balance between futuristic couture and athletic inspiration. Minimalism is the key to keeping this trend balance with a monochromatic color palette and touches of metallic and holographic finishes. 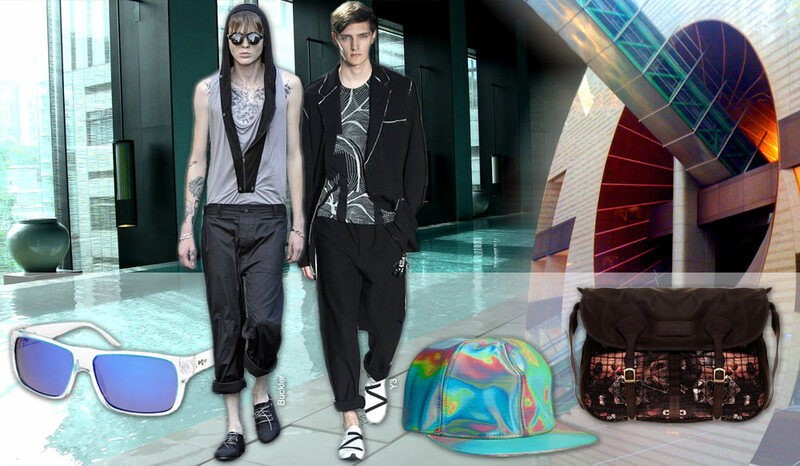 Look to brands like Y-3 and Margiela for inspiration. 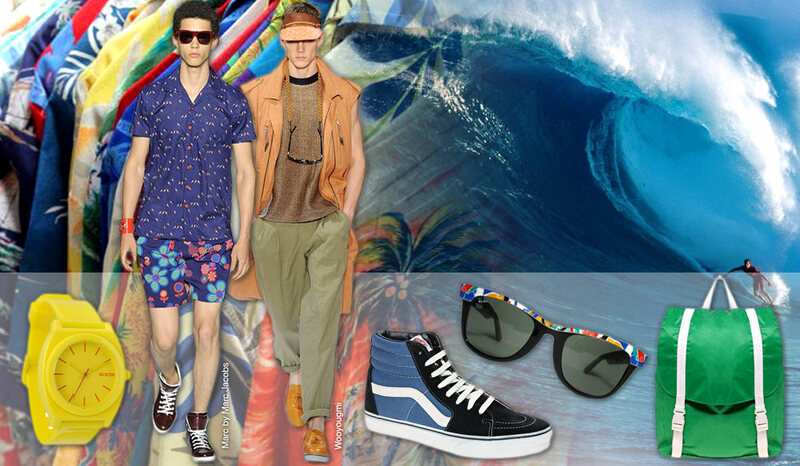 With a huge sweep of tropical influences, SS13 for men also supports a sea-side trend, from over-sized Hawaiian prints to casual resort wear. We focus on the diver watch being a key element in supporting this trend as scuba gear is a major influence. New fabrics such as Neoprene, nylon and ripstop are highlighted. 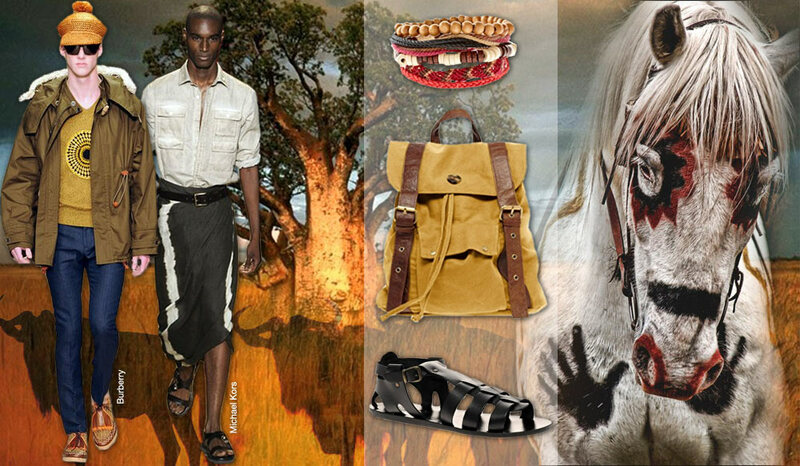 From gladiator sandals and safari inspired bags at Michael Kors to straw materials and bright colors at Burberry, there was a vast range of African influences. We look to new material combinations and fabrications such as canvas, braided jute and wax-finished leathers. Over-sized cuffs and neck-wear also make a statement for SS13, setting a new identification from past seasons’ African expression. Taking inspiration from pure Rock-n-Roll, this trend is not defined by a specific decade but rather a free-spirited and grungy sensibility. For many decades music has influenced fashion but one consist trend taken from the industry is a nod to rocker’s non-nonchalant garb. 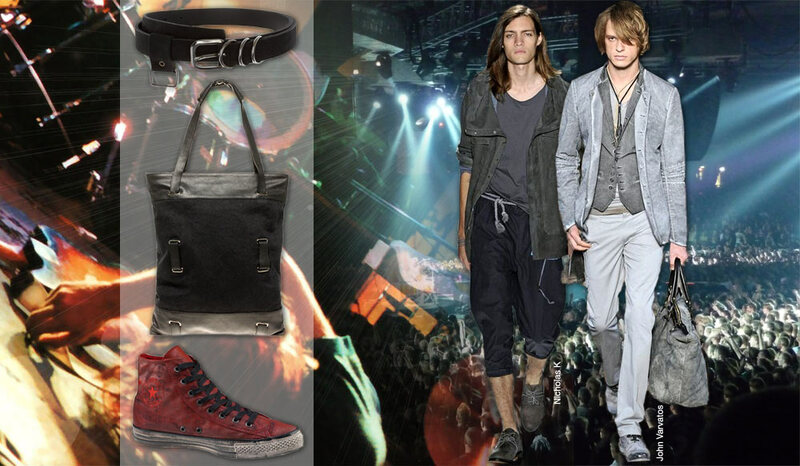 With juxtapositions from distressed and worn in tailoring at John Varvatos to casual kick-back Cobain style at Nicholas K, this trend is sure to fill the shelves for SS13 with more attitude and style than any of the others. Fashion gone wild with Isabel Lucas in Africa from Vogue Australia on Vimeo.